Your garage represents a lot of prime real estate, space you could be using to lead a more organized, more relaxing and more productive life. Yet if you're like most people with garage space, you're probably not taking advantage of all that extra square footage – and you may even be using it to indulge your pack rat tendencies. While organizing the garage may not sound like your idea of fun day, with just a little planning and preparation, you can transform that space into an area that can enhance your life and give you some breathing room in your living space. These five simple steps can help you transform your garage and take advantage of all its potential. 1. Get ready to purge. Most of us have plenty of stuff in our garages that we simply don't use or even need. By getting rid of those unnecessary items, you can free up a lot of extra space that can be put to much better use, whether that means extra storage, a workshop area or space for other activities. Plan on donating any usable items; having a yard sale may sound good, but it can be a lot of hassle, and unless you're truly committed to doing it right away, it can delay your plans to transform your space. Plus, by donating, you may get a tax deduction. 2. Make a plan for your space. Sketching out a rough floor plan isn't just a smart way to make sure you use every inch of available space – seeing the plan on paper can be a powerful motivational tool to keep you on track during the less palatable aspects of purging and cleaning. Don't just think of floor space – your walls are just waiting for cabinets, shelves and other custom garage organization features. When making your floor plan, decide which items you'll use most frequently and which items receive less use or are only used seasonally. Keeping often-used items near the door or in easy reach saves steps and avoids the frustration of digging through boxes or hard-to-reach areas. For seasonal items, consider overhead storage to keep items off the floor and provide even more space for your final design. 4. Choose your containers, and be sure to label. Today, there are lots of custom garage organization solutions, including shelves, cabinets and containers for all sorts and sizes of items. Labeling containers and even cabinet doors can help you remember where everything is and make it easy to put things back where they belong, especially small items, tools and spare parts. 5. Add final touches for safety and convenience. Once your garage is empty, that's the ideal time to seal your floor with epoxy floor coating to provide a smoother, more durable surface that makes cleaning up a breeze. Speaking of spills, when selecting storage cabinets, be sure to choose custom cabinets designed to safely stow hazardous chemicals like pesticides and heavy-duty cleaners for added peace of mind. 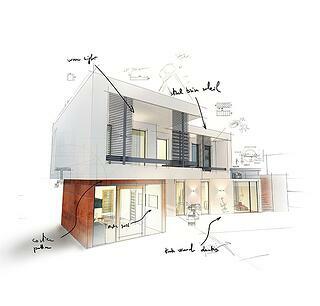 At Boston garage, we specialize in helping homeowners make the most of their unused and underused spaces. 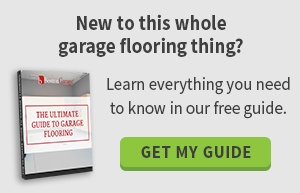 To learn more about our custom garage organization systems, epoxy floor coating products and other solutions that can make your life easier,visit our website or request an idea brochure today.